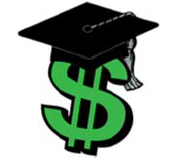 Scholarship applications are available in the Church Office. Either stop in the Church Office to pick up an application or call 609‐597‐7666 to have an application sent to you. An applicant must be a church member or constituent (a nonmember for whom the church has pastoral responsibility). Graduating high school Seniors may apply as well as adults who are continuing their education post high school. This is a one‐time only scholarship. this review meeting, the amount of the scholarship will be determined.